Product prices and availability are accurate as of 2019-04-16 20:57:48 EDT and are subject to change. Any price and availability information displayed on http://www.amazon.com/ at the time of purchase will apply to the purchase of this product. 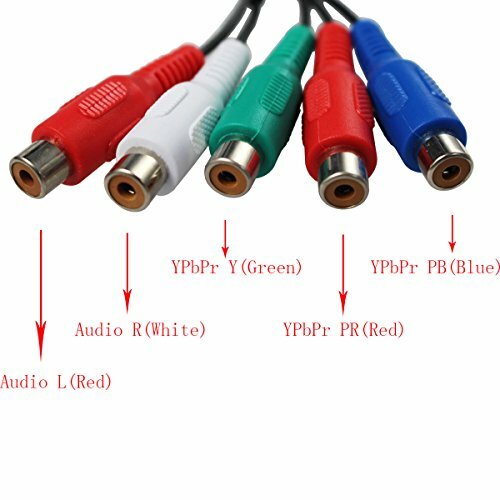 This converter is designed to take Component and Analog audio from DVD player, Game box etc, and converter it to digital HDMI 720p or 1080p. 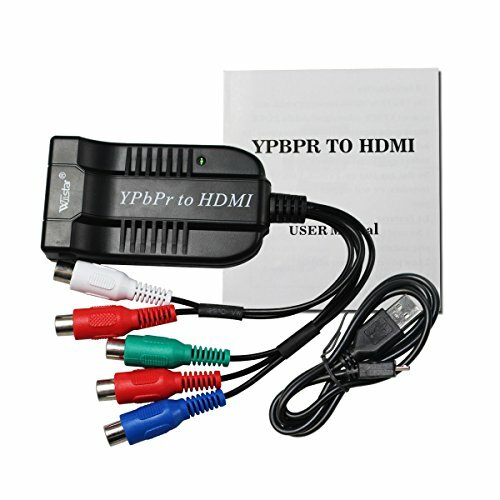 This Component (YPbPr) video to HDMI Converter that allows older analog devices to be integrated seamlessly into the modern home theater. 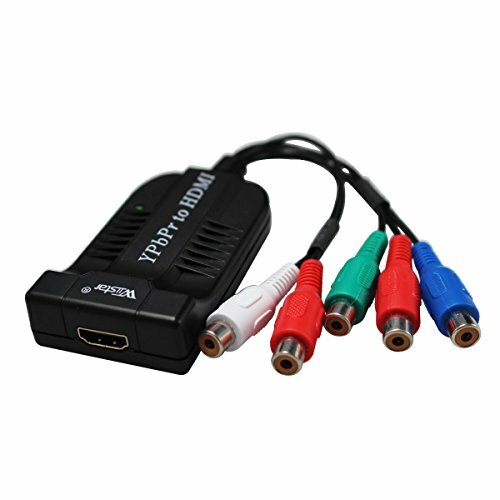 This adapter connects component video home theater devices to HDMI compliant digital monitors. It also takes digital audio and encodes it onto the HDMI signal for the full HDMI video and audio effect. With the Component+ Digital Audio to HDMI Adapter legacy home theater devices can be easily connected any HDMI display for the full digital video and audio experience. 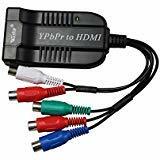 - Component Video to HDMI Adapter Converter for PS3 XBOX 360 HDTV PC Fully compatible. 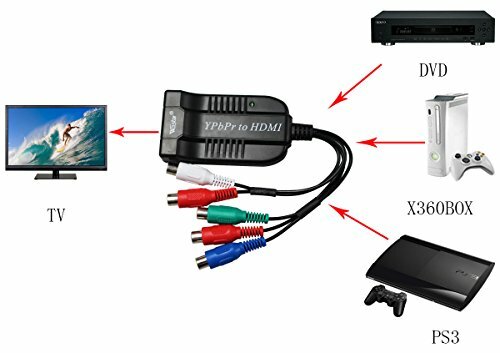 - This converter is designed to take Component and Analog audio from DVD player, Game box etc, and support up to digital HDMI 720p or 1080p. 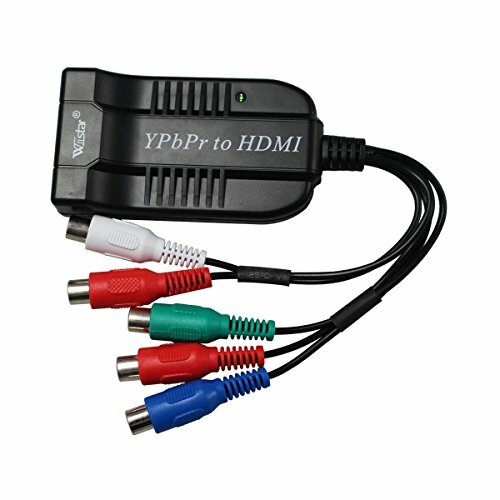 - This converter allows you to connect your Component Video sources to your HDMI HDTVs and A/V receivers. 1.When you use this product, it must be powered by the distributed Micro USB cable. 2.This product do not support upslacer,it is bypass product. If you mind,maybe it will not fit you..